Love Story Texas Wedding Video. We will record a memorable film of your wedding and reception from start to finish. We then press it to DVD or Blu Ray and/or make it available as a digital download. We will shoot anywhere in between Waco, Austin and San Antonio and all of the marvelous hill country wedding venues throughout the region. We pride ourselves on our professionalism, creativity and craftsmanship. 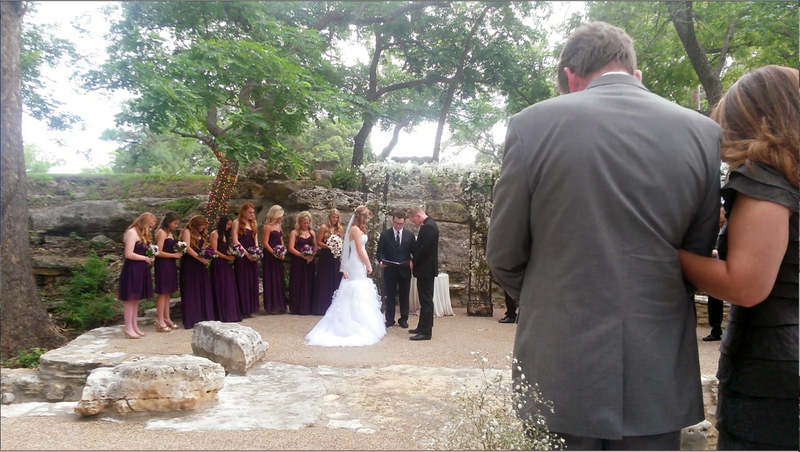 We went to film school, and strive to make more than just a “wedding video” for you,. We want to make a “love story” movie that your friends and family will watch again and again. We combine High Definition cinematic shooting and editing, sometimes with 2D and 3D animation ( see our animation site HERE: http://www.mattkprovideo.com ).